It is no secret that mobile is all the rage nowadays, both literally and figuratively. Why? Because it makes users full of rage when your site A) does not support a mobile version, and B) has a mobile...	version that was clearly not designed for small screens. 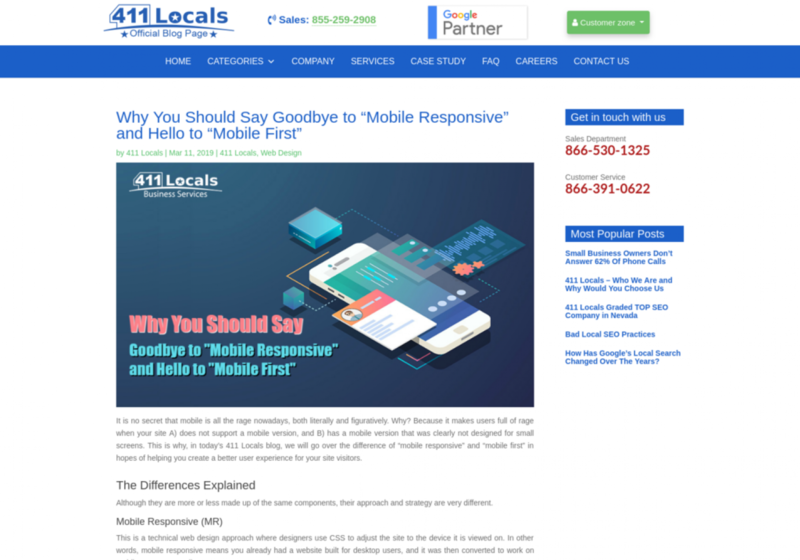 This is why, in today’s 411 Locals blog, we will go over the difference of “mobile responsive” and “mobile first” in hopes of helping you create a better user experience for your site visitors.